The El Sombrero tradition is now expanding with the addition of El Sombrero Express, conveniently located to serve the growing eastern portion of Las Cruces. El Sombrero Express is located at 115 S. Roadrunner Pkwy and is designed for those on -the- go. El Sombrero Express will offer a fast, friendly, and convenient way to enjoy El Sombrero take-out and larger party ordering. El Sombrero was established in 1956 by Ofelia Carrillo. El Sombrero was originally located on the corner of Amador and Church Street directly behind the Welcome Inn Bar. Ofelia’s daughter, Patricia Crawley, moved the establishment to its current location on the corner of Amador and Espina in 1989. Although the ownership was transferred from Ofelia to Patricia, the recipes and same great flavor have remained unchanged. El Sombrero Express offers its valued customers throughout the Mesilla Valley a modern and convenient way to enjoy the same delicious food that Las Crucens have enjoyed for almost 6 decades. Whether you prefer placing take-out orders at our counter or by calling in for pick-up; we provide quick and friendly curbside service so our patrons never have to leave the comfort of their vehicles. We are also proud to offer website and Facebook ordering; as well as mobile ordering from our innovative app. Whether it is for a family meal, small get together, or a large party; we maintain the highest quality of freshness and flavor that has been enjoyed by loyal El Sombrero Patio Cafe followers since 1956. Offering great tasting Mexican food in Las Cruces made fast. 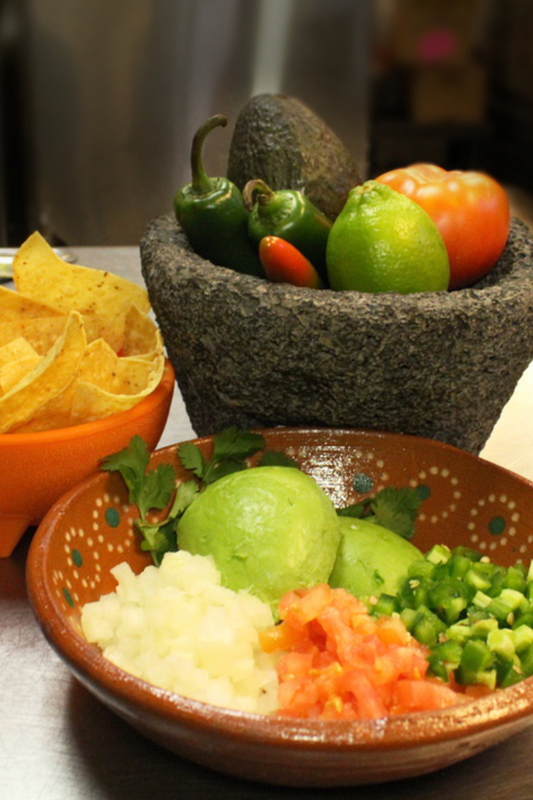 El Sombrero Express uses fresh ingredients in our famous original recipes, along with our award winning salsa. El Sombrero Express is offering the same delicious recipes that El Sombrero patrons have been accustomed to enjoying for decades. This refreshing and sweet fruit drink is a great way to cool down on a hot day… A nice fruity drink served over ice for a delicious cool-down on a nice day. El Sombrero Express also serves our house favorites such as tacos, burritos, tostada compuestas and other great Mexican food favorites. Let us make your celebration a success! El Sombrero Express can cater your next event and let you enjoy the party. Call or visit our location for details. El Sombrero Express is offering the same delicious recipes that El Sombrero patrons have been accustomed to enjoying for decades. El Sombrero Express will be serving the same freshly made tostadas and award winning salsa along with the famous original recipe red and green chile enchiladas. We will also continue to serve house favorites such as tacos, burritos, tostada compuestas and other great Mexican food favorites. If not in the mood for Mexican food, we will also offer hamburgers, chicken tenders and salads. El Sombrero Express will also be providing these and other original recipe items for large party ordering in catering size portions. The best Mexican food in Las Cruces without the wait! Do you have an event or party? Let us know if we can help! 🌸🦋We're taking a short break to allow our hard working crew time to enjoy with family and friends!